We were first introduced to Doorables when we were given a figure as swag at the Freaky Friday movie premiere. We got Donald Duck! I thought he was so cute I started a little collection that I keep in my office. There are 78 figures in the introductory collection. 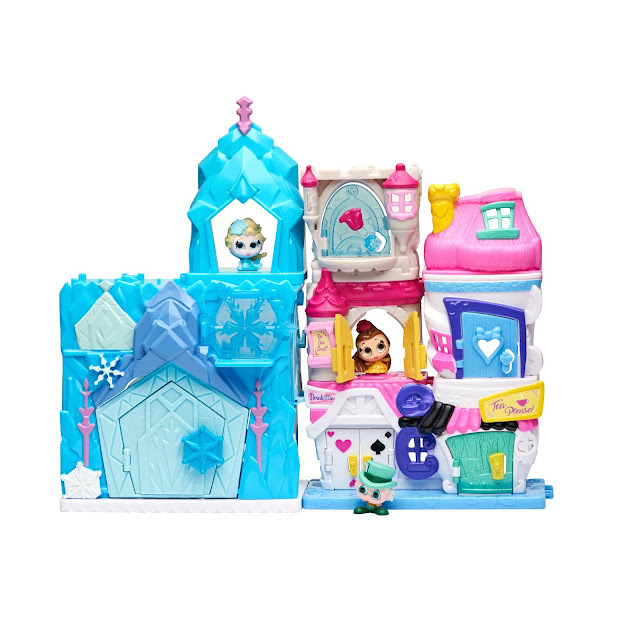 Stackable, modular play sets are available to house the cute micro characters. Disney loving kids can build their own creative worlds centered around their favorite characters. Each package is full of the element of surprise! Part of the fun is not knowing which character you are going to get until you open the door. 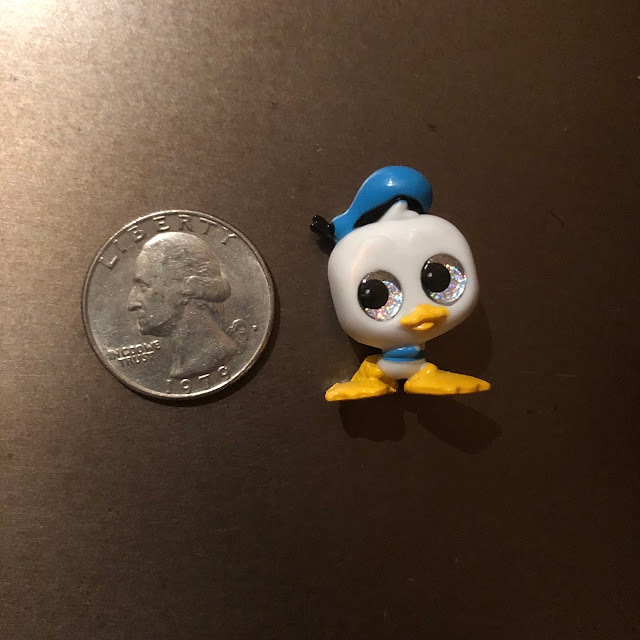 Doorables' sparkly eyes and petite size (roughly the size of a quarter) make the figures very appealing collectibles. They don't take up a lot of space and are super cute. Doorables are the first micro collectibles that feature glass glitter eyes. Tinkerbell has even more glitter. I have to have her! Let the trading begin! Oh did I mention they are perfect for trading with friends? The toys are great for small apartment dwellers. I would be careful with small children (recommended for ages 5+) and pets. Since I have a puppy who is still teething I keep my collection at work where there can be no accidents. Disney Doorables are sure to be a holiday favorite for your kids this year! Will your surprise be one of these cuties? 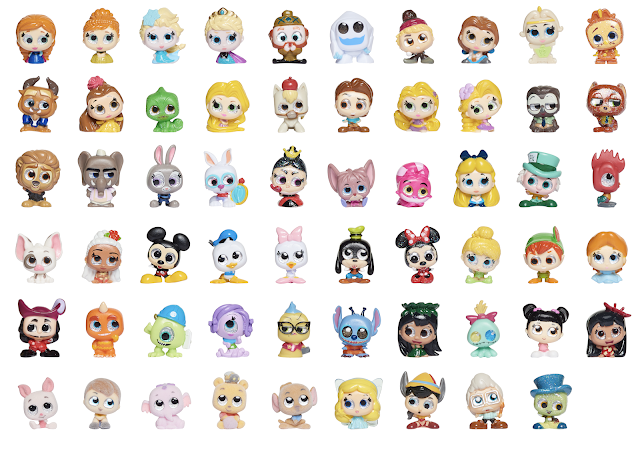 Two Doorables blind packs (containing one Disney figure each) are up for grabs. Since Im in the giving mood...a third Doorable which is a double that I have opened will show up in the winner's package as well! Disney Doorables are made by Moose Toys of Shopkins fame. I hope to get Goofy because he is my daughter's favorite character. I hope to complete my Pinnochio set! All I need is Figaro! He's a cutie! Good luck! They are so cute! These would make cute stocking stuffers! Definitely a cute stocking stuffer, Good Luck! I love them all, but would be hoping for Pascal or Rapunzel! I would love to get any of them. I'd have to go with Pluto though! I hope to get Mickey and Minnie. I hope to get Belle! They are too adorable, I would love to get Minnie! I'd love the Frozen ones. My three year old Gramddaughter loves Frozen. 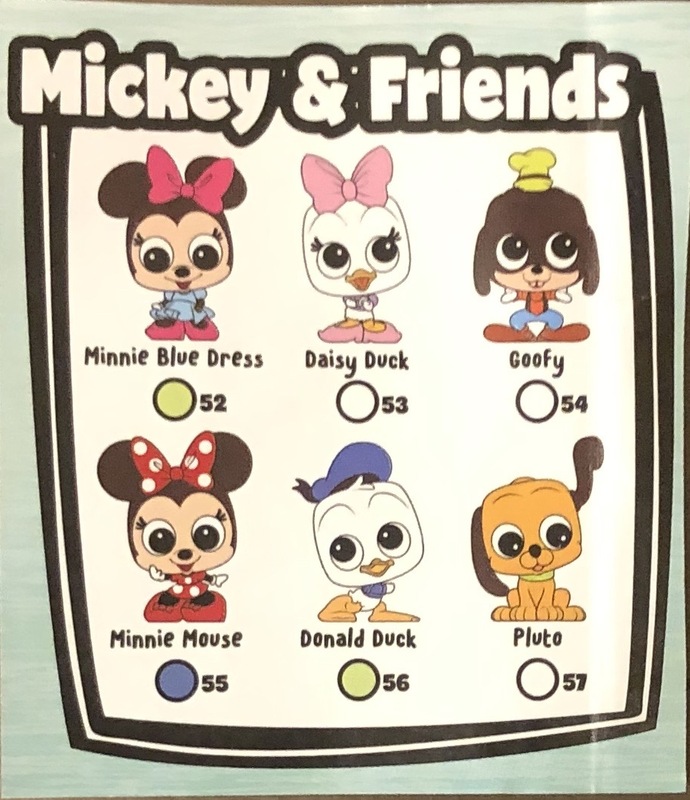 I would love to get Mickey Mouse or really any of them. I havent seen these before and they are all so cute. I want Boo from Toy Story! lol That's a joke because I think she's retired. I'd be happy with any of them- I don't have one and I've always wanted to get one! LOL!!! Good Luck...Boo to you! I would like to get Minnie Mouse! Hoping to get Mickey Mouse, he's my favorite character. The Birthday Boy! Good Luck! I can't enter because I'm in Canada, but they are so cute! They're all so cute. I'd like Peter Pan. Thanks. How truly adorable they are! I want Cinderella! Oh my word! These are so cute!!!! They're all so cute!!! I'll go with tink! It’s a shame I can’t enter, but I will pick up some for myself when I head to Florida next time. I'd love to get Minnie Mouse for my daughter. These are just too cute!! Loving that Tinker Bell one! !